Situated in the new Scotia estate is this pristine two bedroom upper flat. The property benefits from gas central heating, double glazing and will be sold with all fitted floor coverings, light fittings, curtains and blinds. A driveway to the front offers off street parking for a number of cars. There is a good sized rear garden which is private and laid to lawn and easy to maintain. The flat would be an ideal first time buyers home or a buy to rent property. Carnegie Place is situated close to a regular bus service into the town centre which is only a five minute drive away. 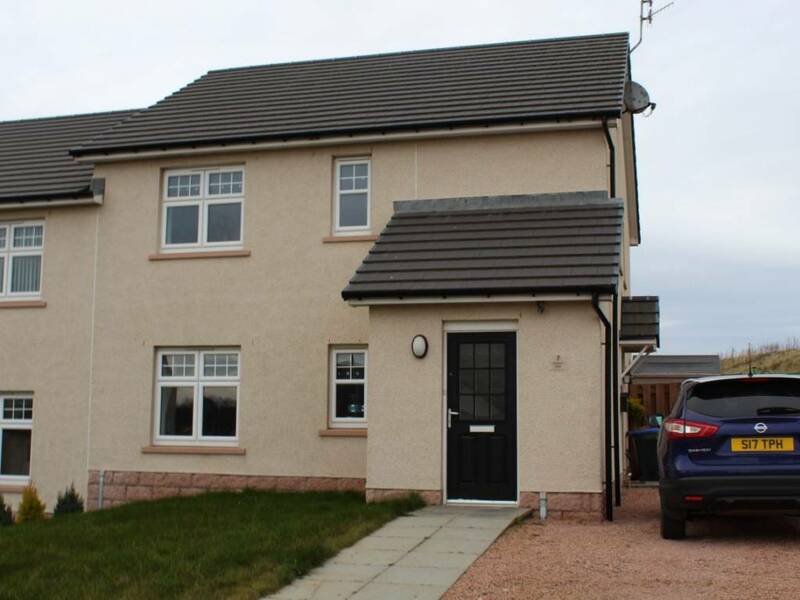 Peterhead is also within commuting distance of Dyce, Aberdeen, Ellon and Fraserburgh and early viewing is recommended to appreciate all this flat has to offer.